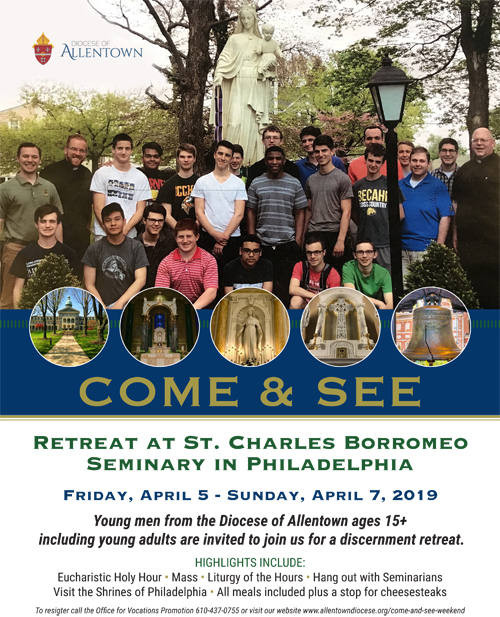 Young men and teenaged boys ages 15 and over are invited to attend a weekend retreat at Saint Charles Borromeo Seminary, Philadelphia, from April 5 - 7, 2019. 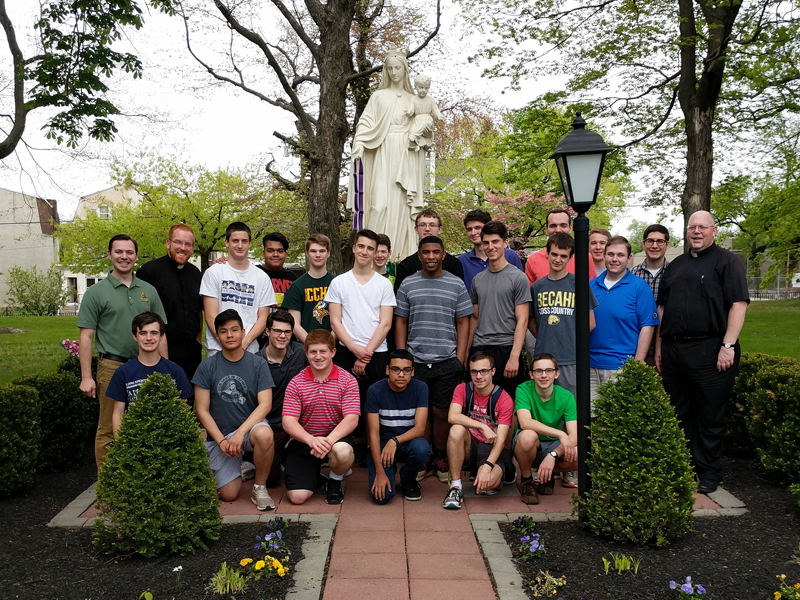 The weekend includes Mass and time with our Seminarians; time for prayer, adoration and reflection; sightseeing in Philadelphia with visits to the Cathedral Basilica of Saints Peter and Paul; and the Saint John Neumann Shrine. All meals are included, plus a stop for cheesesteaks! To register, please complete the registration form for your age group located under the word Resources on this page and return it to the Office for Vocations Promotion at the address listed on the form. You will also find the schedule and general information in the same place. Any questions, please contact the Office for Vocations Promotion at 610-437-0755 or msearles@allentowndiocese.org.